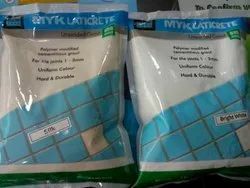 Tile Adhesives are generally used to stick Tile on another tile or glass or stone. Different variants and products are available to stick tile on theses different surfaces. Color Shade card is uploaded,many colors available. Tile joint (Grouts) fillers are used in the space between adjoining tiles laid either on the floor or walls. 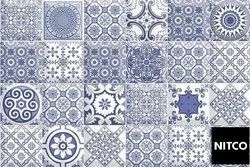 Traditionally, tiling is done by placing tiles close with white cement used to fill the tile joints instead of tile joint fillers. White cement tends to break easily, leading to dirty/ stained tile joints, water seepage and growth of fungus/ bacteria. Floor Tiles Sizes: 24x24, 32x32, 48x24, 48x32, 64x32, 40x40. 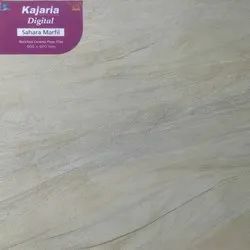 We deal into following Brands in Floor Tiles. Few other local made brands offering quality at par with known brands. Usage/Application Wall - Bathroom,Kitchen,Living Area and Lobby. 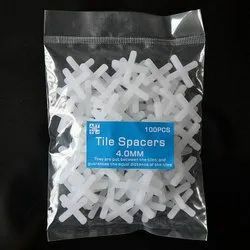 With the help of Tile spacers, the space in between the tile can be maintained well without any deviation. Sizes: 3mm, 4mm and 6mm.